The following code and comment is valid syntax. 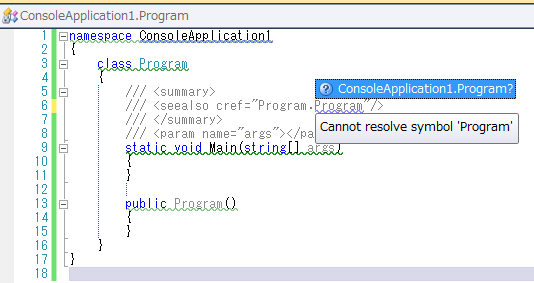 But, R# shows hint "ConsoleApplication1.Program ?" is displayed in "Program.Program". If I click the hint, document comment changes into <seealso cref="Program"/>. In this case, I want you not to show the hint.